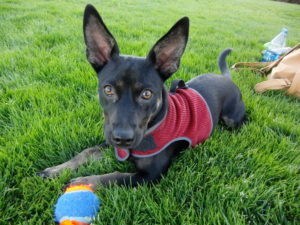 As a rule, mixed breed dogs means that the representative of the parents were thoroughbred, but from different species. There is a belief that the mestizo are the best purebred breeds. 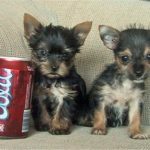 Experts believe that the puppy recovers from its different parents only the best qualities, so the representatives of mixed breeds are friendlier, smarter and have better health than their “pure” breed parents have. Let us look to one of the interesting dog mixes – Chusky. 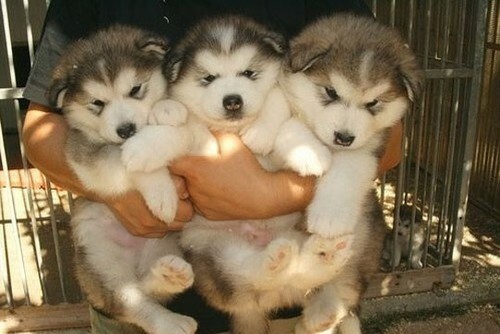 Such a name this type of breed got from the first letters of their names: Chow-chow and Husky. 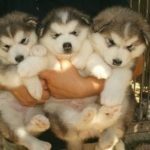 This article suggests to look each breed’s characteristic so we can imagine the Chusky breed. 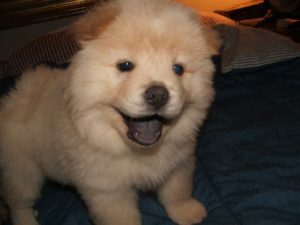 Chow Chow is a guard dog, companion, one of the oldest breeds of dogs. 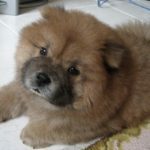 In its origin Chow relate to Spitz group, but there is an assumption that in them there is an admixture of blood Tibetan mastiff (mastiff). Having huge sizes it has exotic appearance, looking like bear and a lion at the same time. 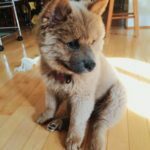 Chow Chow is not active breed. They can suit to apartment life if they get enough opportunities for daily physical activities. 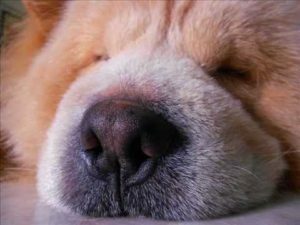 Chow Chow may seem independent and aloof throughout the day, keeping a comfortable distance from others. 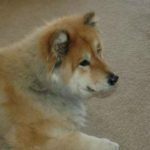 Owners need to be prepared for a daily walk with the bustling Chow, even if they have a fenced yard to meet the dog needs in mental and physical development. 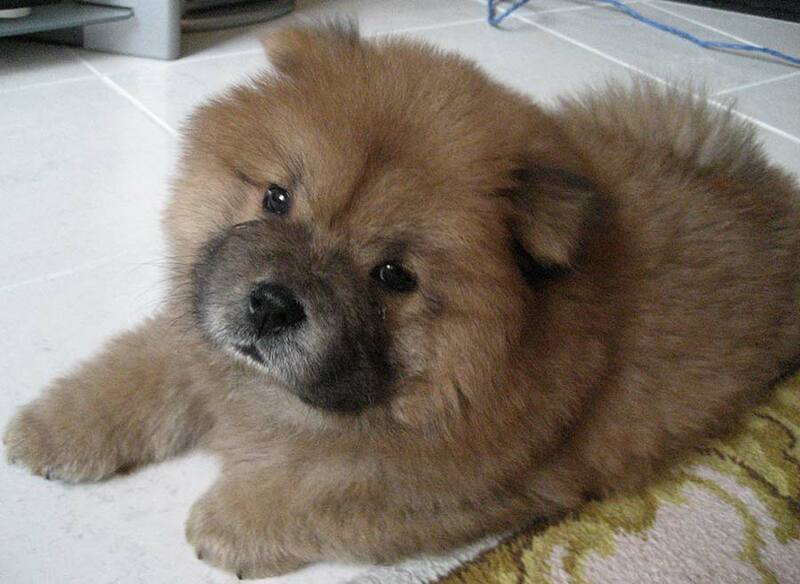 Although Chow are weakly energetic dogs for most of the day, it will crave walking time to be satisfied and happy. 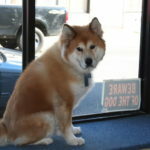 This dog of the Far East is also one of the oldest breeds. 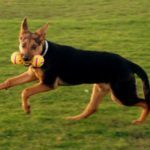 It is fast and athletic dog with compact physique and easy gait. Siberian Husky is friendly and gentle dog, however, they establish a closer and deeper relationship with only one person of the family. 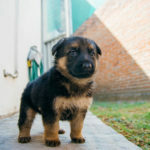 It is a working dog of medium size, fast and easy on its legs with a free and elegant movement. Its moderately compact and well-furred body, erect ears and a bushy tail says its Northern origins. The proportions of its body and appearance reflect the basic balance of power, speed and endurance. 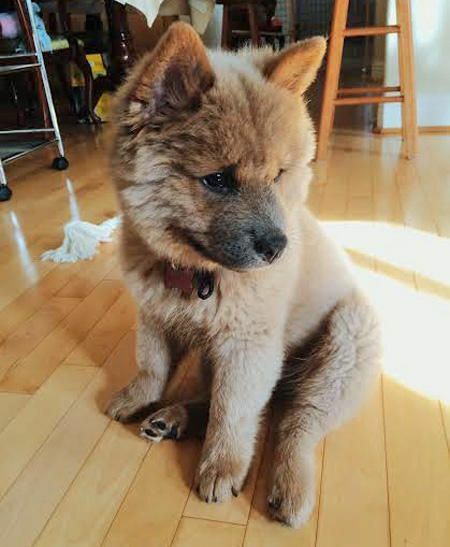 Mixing of these two breeds has resulted in attractive appearance and character. At first glance, it is very difficult to distinguish Chusky from Chow. The only thing you will notice — blue eyes, a slightly higher growth compared to chow and outline spots inherent Huskies, despite the fact that the color remained the Chow’s one: red and white. On the other hand, Chusky’s character is totally inherited from Husky: it is very dedicated and friendly and protective. As the parents of this mestizo are active and strong dogs, Chusky needs high trainings and physical activities. It is not a good apartment dweller as it has very high energy levels. Additionally, due to its well-furred body they can show quite well tolerance to cold. On the contrary, it is not preferable to leave this dog in a hot place for a long time. In addition, as it has soft and thick coat it is important to brush it regularly. You can do it once a day, for example, when shedding became heavy. Important to Know! 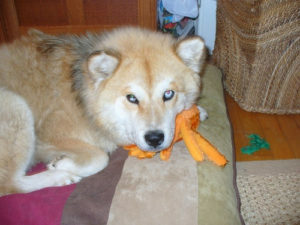 Chusky is very friendly dog that needs to be in care and socialized. Otherwise, it can suffer from anxiety. It is good to have Chusky for big families with a big amount of children. Experts say that children and Chusky found good language with each other. Life span of the dog is approximately ten – twelve years. Warning! 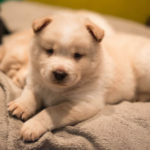 As chusky is a mix dog, it is very important to get a puppy from reliable persons. Otherwise, it may occur in serious health problems. 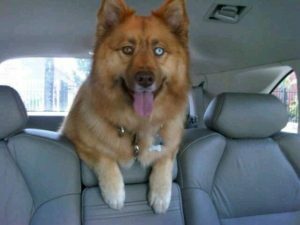 For instance, hip dysplasia, dental or eye problems.